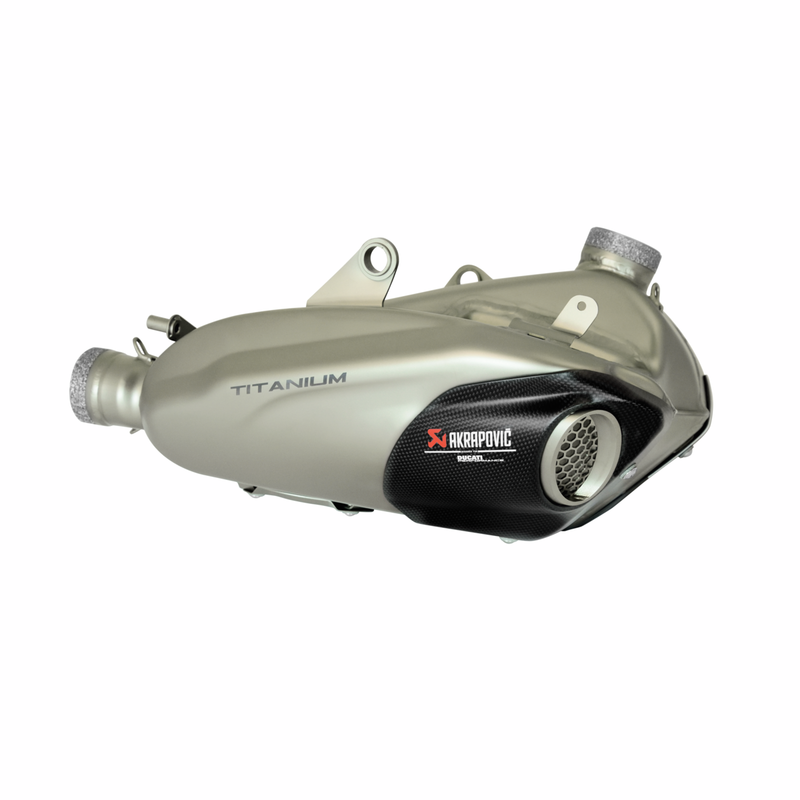 Completely made of a special titanium alloy that is both lightweight and resistant to high temperatures, allowing for an overall significant reduction in the bike's weight combined with a unique design. 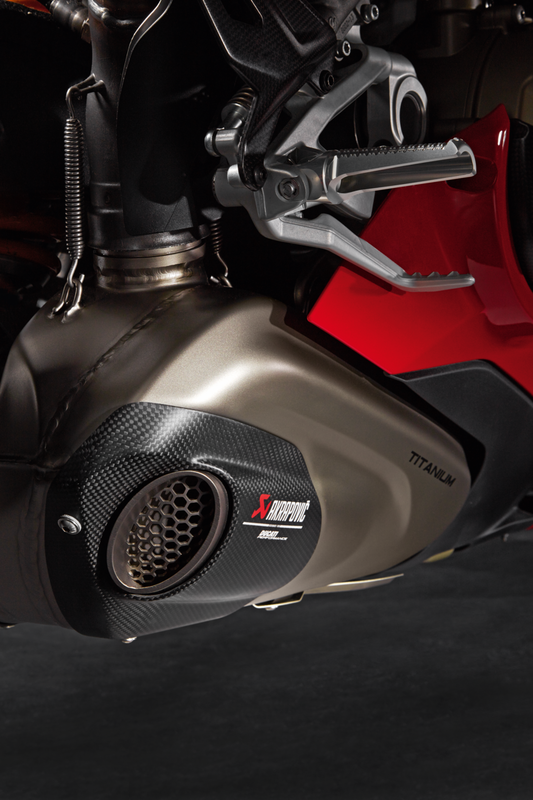 The carbon fibre endcaps and the honeycomb grilles at the tailpipe end lend an even more racing touch to the bike. 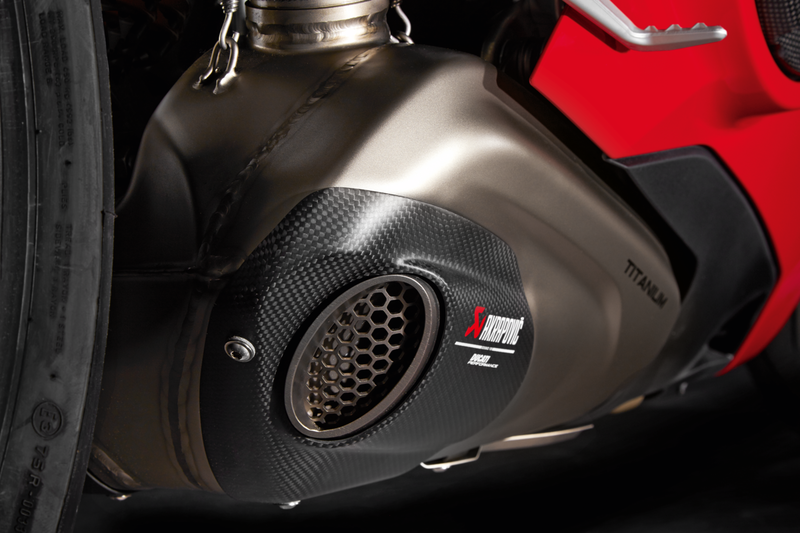 Once installed on the V4 it favours a full-bodied delivery and reinforces the roar of the Panigale V4, enhancing the riding pleasure, while respecting the EU regulations in force for road circulation. The carbon endcaps and the honeycomb grilles at the tailpipe end lend an even more racing touch to the breathtaking look of the bike.